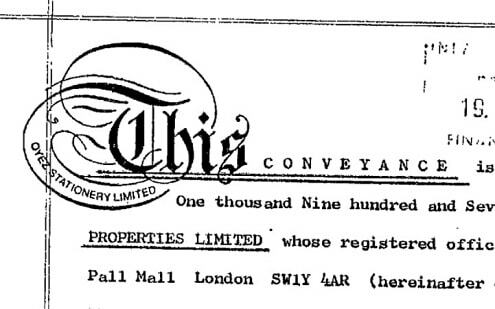 LandRegistrySearches.com is an independent supplier of Title Documents and Conveyancing Searches, and is not affiliated with the HM Land Registry. Our online services provide the general public and property professionals with access to official copies of Land Registry Title Registers and Title Plans (OC1), as well as many other conveyancing documents and searches. Land Registry Title Registers and Title Plans are the main source of property and land information, and reveal ownership data (including the name and address of the registered owners), mortgages, charges, boundaries, covenants, easements, maintenance liabilities, house prices and much more. By using our online service, you will be able to quickly obtain official copies of Title Registers and Title Plans online and in 3 simple steps. A wide range of other documents and searches are available via our online portal, such as Leases and Transfers (OC2 documents), Index Map Searches and Old Property Deeds. We are an independent supplier of Land Registry conveyancing searches and are not affiliated with the UK Government or HM Land Registry. I required official copies of my title deeds quickly and received them within one hour – many thanks for your prompt service. I will recommend your services to my family and friends. Received the documents within 20 minutes of ordering. I will be using your services again. Many thanks. Thank you for sending me a copy of the conveyance as ordered. Excellent service and many thanks for your prompt reply. Obtain documents referred to within the Title Register, such as Leases, Transfers, Conveyances, Deeds, Charges and Agreements. These documents can provide valuable information on matters relating to rmaintenance responsibilities, rights of access, boundaries, mortgages, covenants and easements. Quickly obtain a Title Register or Title Plan for any land or property without an address, such as fields, tracks, barns, roads and parcels of land. 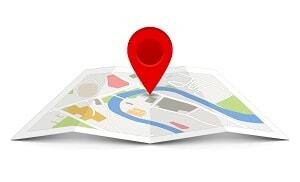 By using our Map Search facility, you can simply place a marker to pinpoint the land or property. 2019 © Copyright - LandRegistrySearches.com | UK Conveyancing Searches. LandRegistrySearches.com - Specialising in the provision of property data, conveyancing documents and searches. LandRegistrySearches.com is not affiliated in any way with the HM Land Registry.